Hi, one of the benefits of being a Stampin’ Up! 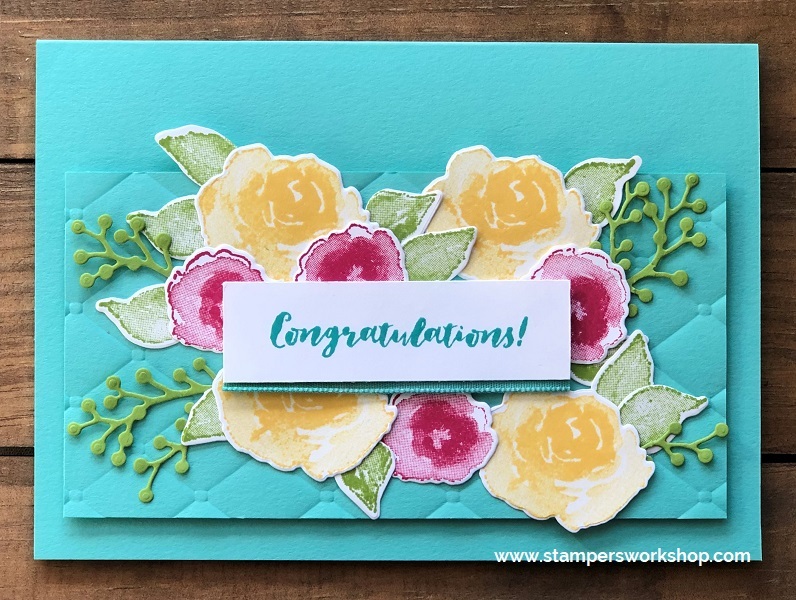 Demonstrator is that we receive a quarterly publication titled Stampin’ Success. The magazine features articles about business ideas as well as design ideas for a selection of the products in our range. I find it to be quite inspiring. One of the articles in the recent issue was all about the First Frost Bundle and I loved some of the samples shared. I had to CASE one of them (CASE is to Copy And Share Everything). It’s fine to CASE cards but please remember to share that you were inspired by someone and link to their site wherever possible. Unfortunately, the publication does not credit the original artist but please note, this is not my original card design. I loved the bright colours used by the artist. They aren’t colours I usually use (aside from Granny Apple Green, of course) but I definitely think I’ll be using them much more frequently. I didn’t have all of the same supplies as the original artist so I had to mix it up a little. I love this look and I think it would also look good in more subtle colours. I think the actual design would look good if you rotated it as well. So fun! Of course, the flowers in the First Frost bundle are so lovely as well. Hi everyone, I am still loving the First Frost suite – and really, what’s not to love though? Isn’t it a gorgeous suite?! Have you seen the paper? It has the most beautiful shimmery coating. The designs are so pretty and perfect for any time of the year. Today’s card is actually a birthday card and it is based on a card I shared earlier this year. 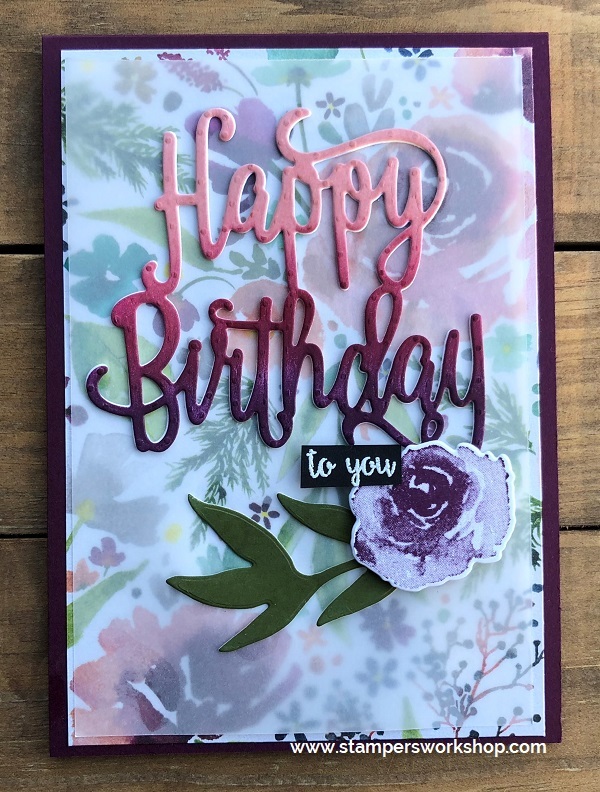 I’ve used the beautiful First Frost stamp set and the coordinating Designer Series Paper as well as the Happy Birthday Gorgeous stamp set and the Happy Birthday Thinlits die. TIP: Use the Multipurpose Adhesive Sheets on the back of your cardstock before running the die through your Big Shot. This makes it so much easier to layer the dies as I have done in the card above as well as sticking down the more fiddly die cuts. Hi everyone, one of my favourite bundles in the Holiday Catalogue is the First Frost bundle. I love that this set can be used year round. It is so pretty! 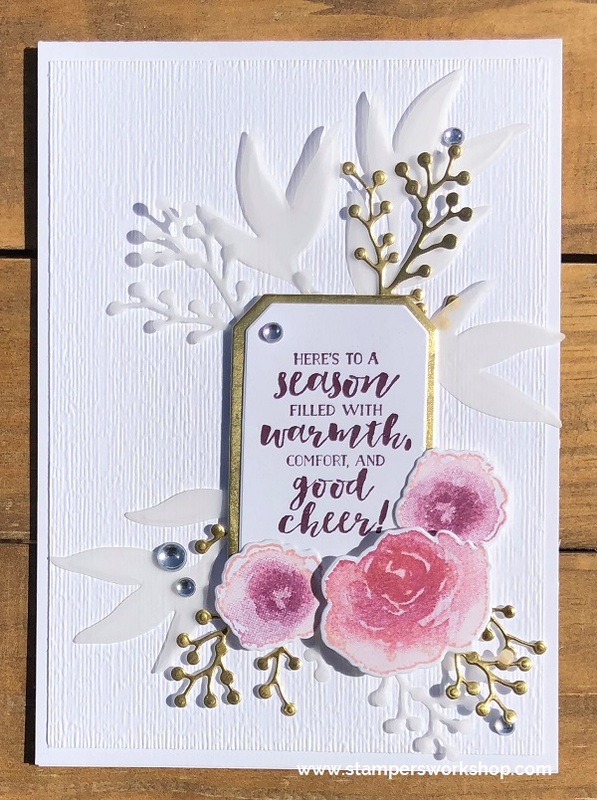 To create the multicoloured flowers I first inked up the stamp in the lighter colour ink and then used a sponge dauber to add the darker ink to the centre part of the flower. I love this technique. It really adds a greater depth to the image.